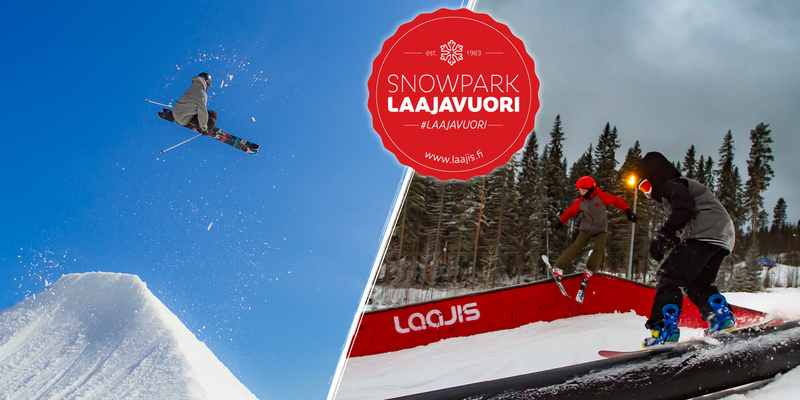 In reality Snowpark Laajavuori is a combination of 4 different snowparks around the Laajis ski resort. The "original" Snowpark is situated at the Eturi front slope is the place for biggest jumps and longest rails. 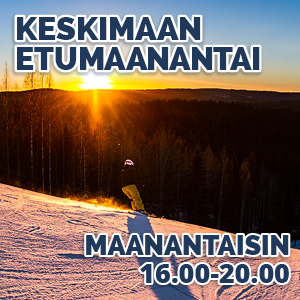 The Wild West Laajis with its wooden obstacles is found at the backslopes and the easy, jib-friendly Junnuparkki (Youth park) can be ridden at the Auris slope. 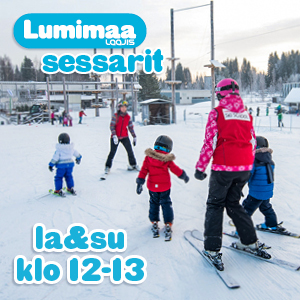 There's also some obstacles at Lumimaa area making up the Miniparkki for smaller and bigger family members to try out park skiing and snowboarding and getting the hang of basics. Newest is Wild West Laajis, which is a snowpark with wooden features, on the back slopes. 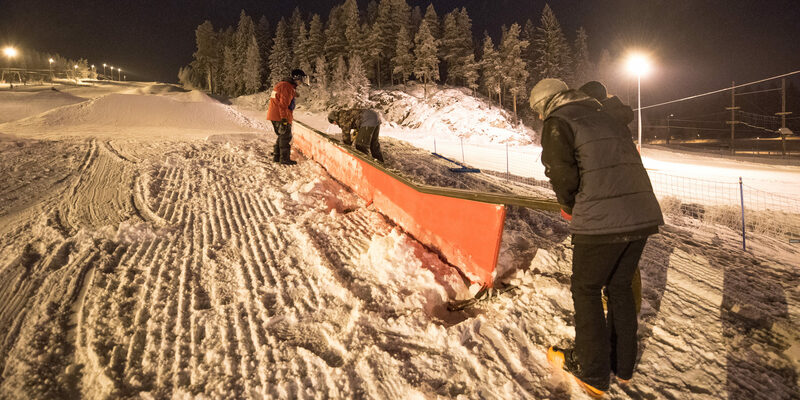 Check out the current news at Snowpark Laajavuori -Facebook page or Laajis -Facebook page. The biggest jumps and the most challenging rails are at the Laajis Snowpark at the Eturi slope. This is also the place for slopestyle competitions and the best sessions on the skis or snowboard. 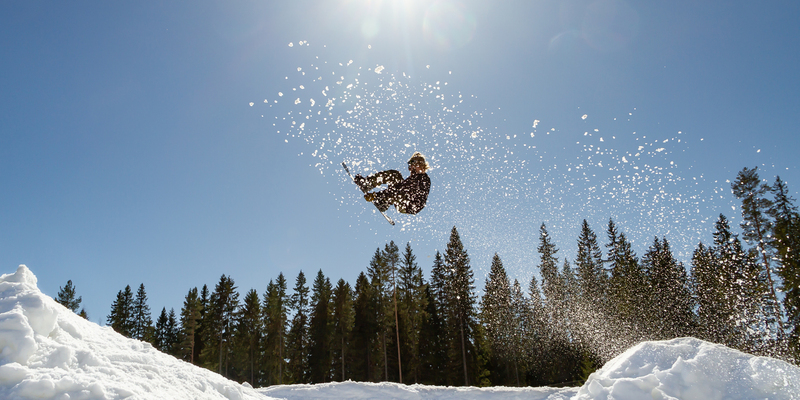 You can check Snowpark's open setups here. 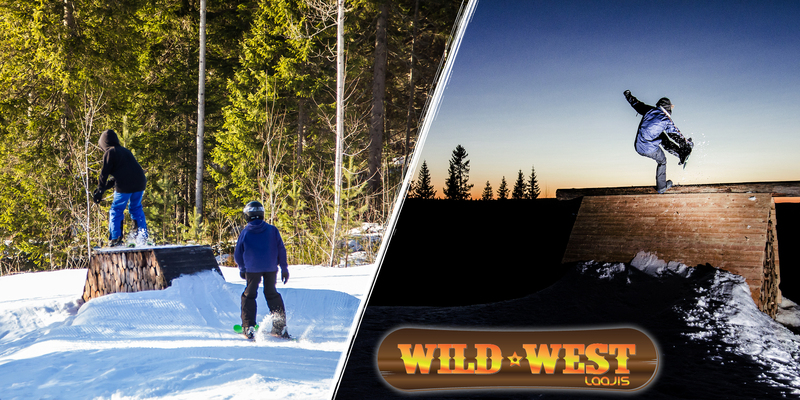 Situated at the back slopes of Laajavuori is Wild West Laajis, our newest snowpark, where you can get into true Wild West atmosphere on the wooden obstacles riding into the sunset! No open setups on season 2017-18. 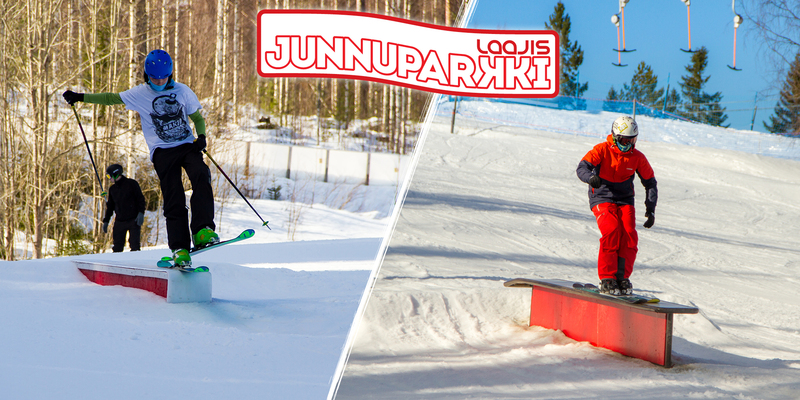 Laajis Junnuparkki is found at Auris slope and that's the perfect place for beginner park skiers and snowboarders to improve their skills on the easier obstacles, like tables and smaller jumps. You can check Junnuparkki's open setups in here. 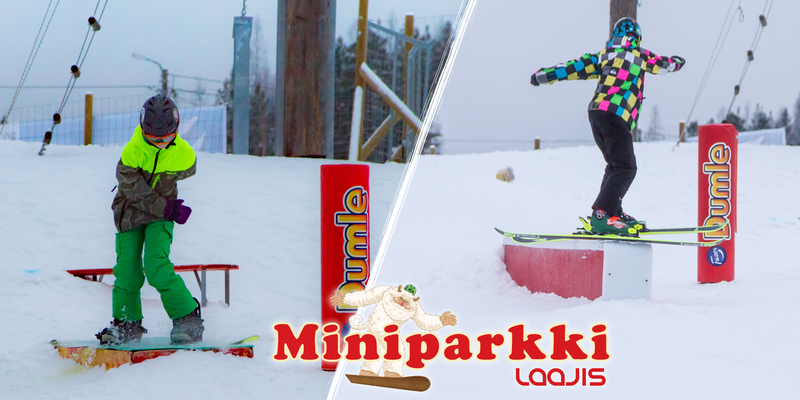 Laajis Miniparkki is good place to try out small park obstacles safely and train on the park riding basics. Miniparkki is built on the Snowland area. You can check Miniparkki's open setups here. The Laajis Park crew works through the year to keep the parks in shape.